Great news was announced by Dublin based Blue Insurances at the end of last week that they would be creating up to 20 new positions in their Blanchardstown. Dublin office. This follows the recent announcement that profits increased by 70% to €1.2 million in 2011, turnover increased from €13 million in 2010 to €16 million, projected turnover for 2012 is €19 million. All operations within the company are currently handled from the Dublin office and expansion into new areas, including Home and Motor, will require staff across numerous departments including Call Centre Customer Services, Sales, Accounts, IT and Junior Management. The expansion will see staff numbers rise from 30 to 50 by late next year. Recently appointed positions include Call Centre staff and a number of IT development positions. Inter Trade Ireland and Enterprise Ireland has also been working with Blue Insurances in conjunction with a cross border initiative for current and future employment positions. Blue Insurances is nominated to represent Ireland at the European Business Awards 2012. Every year the European Business Awards research team spends six months analysing over 15,000 companies across Europe to find the best businesses that demonstrate the guiding principles of the Awards, including commercial success, innovation and business ethics. Blue Insurances was established in October 2003 by Joint Managing Directors Ciaran Mulligan and Rowan Devereux, initially focusing on the travel insurance market through the Travel Trade. Within a year Blue Insurances became the leading supplier of travel insurance through the Travel Trade in Ireland. Blue Insurances is based at our headquarters at Plaza 212, Blanchardstown Corporate Park, Blanchardstown, Dublin 15, Ireland and the UK office is situated at Suffolk House, Trade Street, Cardiff CF10 5DT Wales. 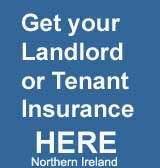 Blue Insurances Limited trading as Annualtravelinsurance.com, backpackertravelinsurance.com, Carhireexcess.com, Covermybreakdown.co.uk, Covermygadget.co.uk, Covermypet.co.uk, Covermywedding.co.uk, Greatcover.com and Multitrip.com is regulated by the Central Bank of Ireland and is EEA authorised to conduct insurance mediation services in the UK by the UK Financial Services Authority.